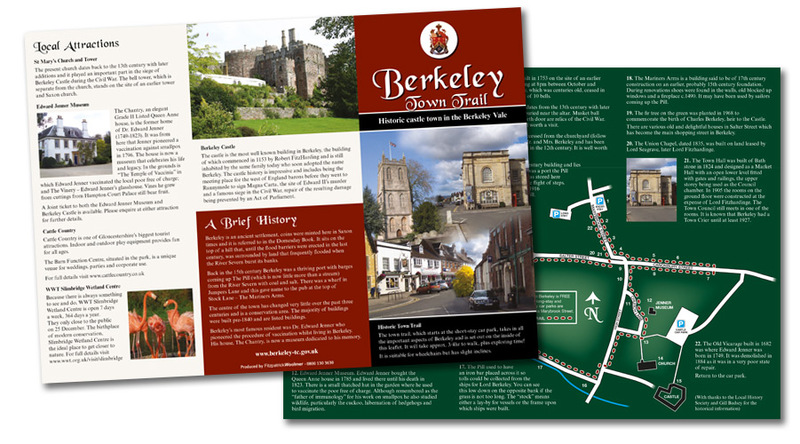 Berkeley is an ancient settlement, coins were minted here in Saxon times and it is referred to in the Domesday Book. It sits on the top of a hill that, until the flood barriers were erected in the last century, was surrounded by land that frequently flooded when the River Severn burst its banks. Back in the 15th century Berkeley was a thriving port with barges coming up The Pill (which is now little more than a stream) from the River Severn with coal and salt. There was a wharf in Jumpers Lane and this gave name to the pub at the top of Stock Lane – The Mariners Arms. The centre of the town has changed very little over the past three centuries and is a conservation area. The majority of buildings were built pre-1840 and are listed buildings. Berkeley’s most famous resident was Dr. Edward Jenner who pioneered the procedure of vaccination whilst living in Berkeley. His house, The Chantry, is now a museum dedicated to his memory. Please click on the image below to view or download the Town Trail.